This ACE location has plenty of free parking and is situated in a small shopping center at the corner of E.F. St and Johnson Ave.
Stanislaus Regional Transit’s Bus line #60 stops at S. Maag Ave and E.F. St, near the location of this ACE Cash Express. Be sure to check SRT’s website for bus routes and regulations. Neighboring this location are Cloverland Elementary School, Holiday Inn Express, Oakdale Irrigation, Starbucks, Mcdonald’s and CVS. 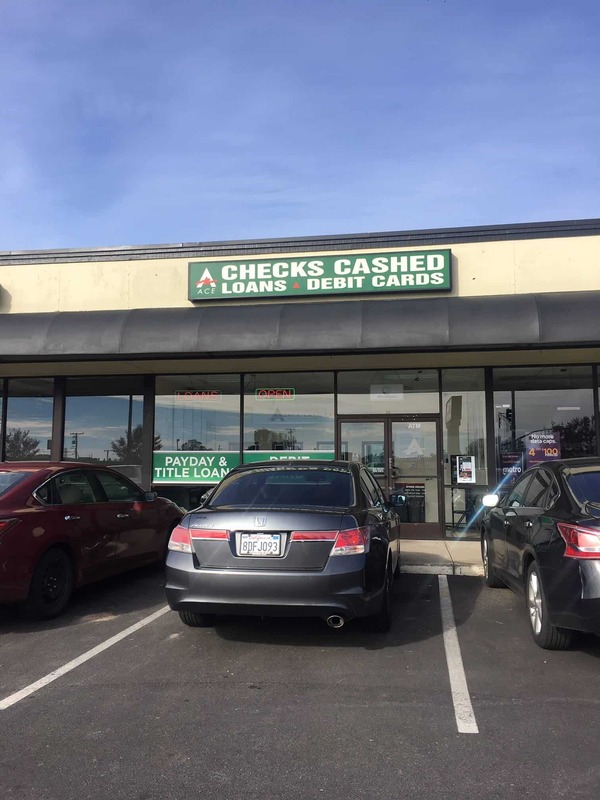 Come to ACE Cash Express for an Auto Title Loan Powered by LoanMart in Oakdale! The inquiry process is straightforward, simple, and affordable. Because a resident does not face the obligation to continue with the loan if they qualify, there’s nothing to lose! Find out further advantages of choosing an auto title loan powered by LoanMart in Oakdale below. Find out how to apply in Oakdale today! Apply for an Auto Title Loan Powered by LoanMart Today! Call the toll-free line to speak with an agent. For an instant connection with an agent, click the “Chat Now” button. Check out the ACE Cash Express location in Oakdale. Once approved for an auto title loan powered by LoanMart, an agent will chat with you about receiving your title loan money at ACE Cash Express!